In today’s flashpacker interview, Bethaney from FlashpackerFamily.com tells us about the Las Vegas vacation rental apartment she used for a 6 week stay. Yesterday we covered a $350 month studio in Playa Del Carmen, and today we’re going to the upper end of the Flashpacker range. We rented a two-bedroom apartment in Las Vegas for six weeks in October/November last year. 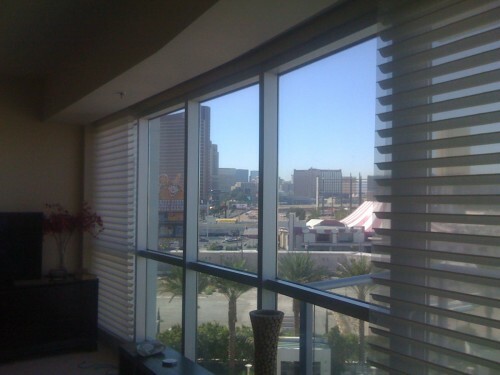 The apartment was located at Sky Las Vegas, the only residential apartment building on the Las Vegas Strip. Our apartment was on the 6th floor of this 45-story highrise. The apartment itself was wonderfully decorated and really spacious at 1800 square feet. The apartment building had the best amenities I’ve ever seen – access to an outdoor recreation area with over an acre of pool and garden space complete with putting green, outdoor fire pit, barbeque area, a spa and fitness center, valet parking, concierge services and state-of-the-art security. It was amazing! I found it through VRBO.com, Vacation Rental By Owner. It was the vacation rental apartment of a woman who lived in Colorado. We paid US$3500 for six weeks (instead of $3800), which sounds like a lot, but was considerably cheaper and better than the other options on the Las Vegas Strip. A lot of the rentals on The Strip are only studios which didn’t suit us as we’re a family of three and were also travelling with my Mum. You can rent houses and apartments off The Strip but we didn’t want the extra expense of renting a car and buses in Las Vegas, outside of the main touristy areas, aren’t good. We had to pay a US$3000 bond which was very nerve wracking but we got it back minus a cleaning fee. We had to fudge the details of the lease slightly as the building didn’t allow rentals for under three months but the landlord was OK with that. I hadn’t heard of AirBnB when I was looking for apartments for our trip last year. I did put feelers out to locals I knew but a vacation rental really was the best option as we were travelling light. We had some minor problems. The pool was being serviced the first week we were there which was awful as it was 38 degrees every day that week. We also had a few issues with the internet that took a few days to sort which wasn’t great as we didn’t have US sim cards as a back up. Now that I know about AirBnB I’m sure I could get something cheaper. I really liked the apartment we stayed in and it was a great place to spend a month. 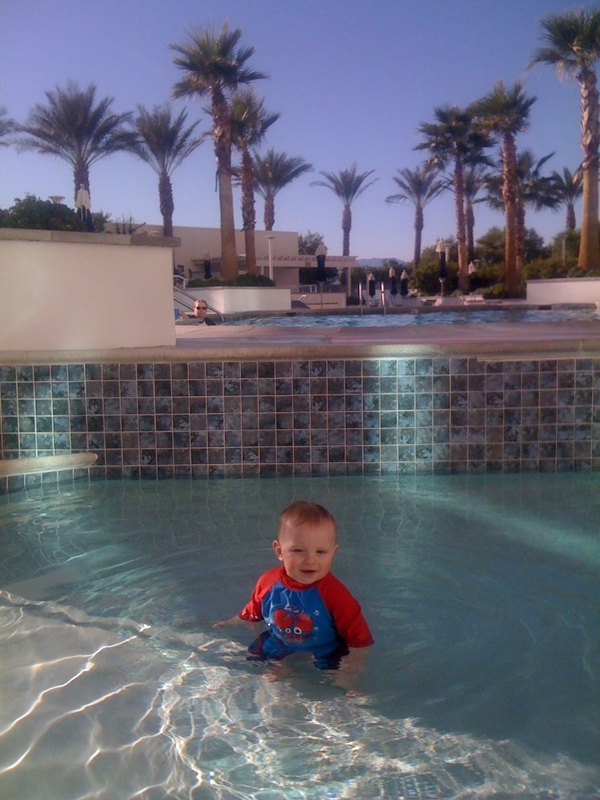 There is so much to do in Las Vegas for kids. If you’re a single traveller or a couple without kids, go for one of the studio apartments in MGM or Vdara. They look really nice and are closer to the action. There are tonnes on AirBnB. Tourism is slow in Vegas at the moment so there are deals to be had! This is the only one I’ve done but I’d absolutely do them again! It’s so much easier to stay in an apartment when travelling with a child. Access to a kitchen and separate sleeping areas is key for us. 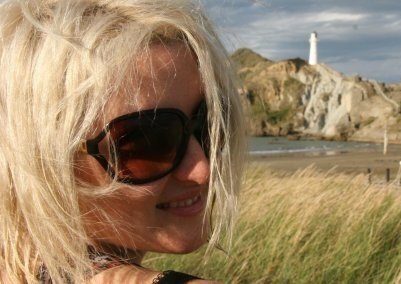 Bethaney Davies is one third of Flashpacker Family – a semi-nomadic, globetrotting family from Christchurch, New Zealand. Bethaney, Lee and their toddler Reuben spend half the year at home and the rest out exploring and enjoying the world. Flashpacker Family has great tales from the road, tips on travelling on a budget & travelling with a toddler and information on living a location independent lifestyle. 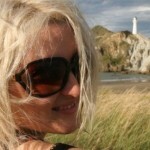 You can follow Bethaney on Twitter and Facebook.